You'll Cut Circles Around Them! 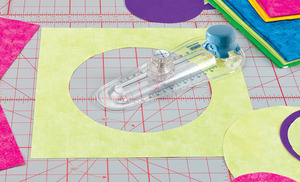 Finally, cut curves and circles without the headaches. 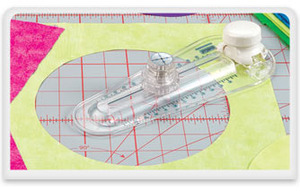 The new True Cut 360 Circle Cutter innovative design makes it simple to use, and prevents your fabric from bunching or wrinkling as you cut. Comes with an extra 18mm blade. Cuts from 2" to 12" circles. 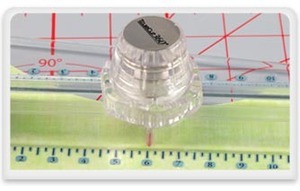 The TrueCut 360° is designed with exact markings for precise circles. Just set and lock in the circle size, and rotate the TrueCut 360° around the center for clean-cut, accurate circles.